The child passed the security check and boarding gate along with his family members. An Airbus A321 passenger jet of Juneyao Airlines is being towed to the parking apron at the Shanghai Pudong International Airport in Shanghai, China, 15 March 2015. 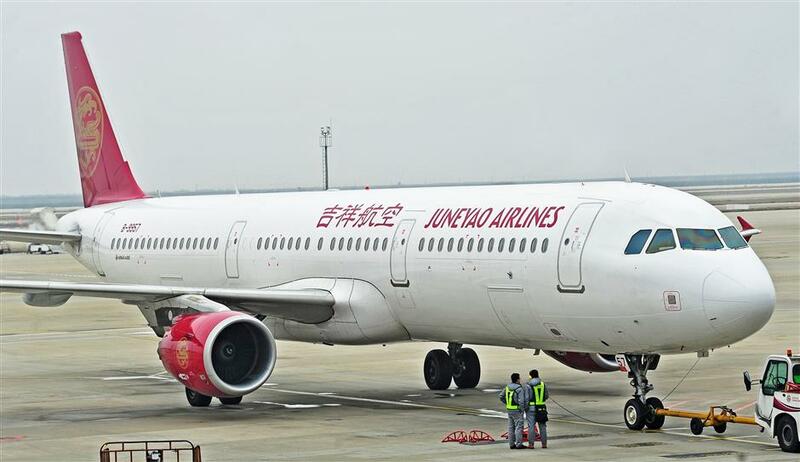 A Juneyao Airlines flight from Beijing to Shanghai was delayed by five hours after a child was found in the aircraft without a ticket, the airline said today. Crew members from Flight HO1252, which was scheduled to take off at 6:55am on Sunday, found the child on board without a ticket. The child passed the security check and boarding gate along with his family members, according to the Beijing Capital International Airport. He was accompanied by two adults and another two children. The five passengers were asked to get off the aircraft, while all other passengers on the flight were asked to go through the security check again as per China’s civil aviation regulation. The flight eventually took off around noon after being delayed for nearly five hours. The Shanghai-based airline said in a statement that children between 2 and 12 years of age need a child ticket and must be accompanied by an adult. Even an infant who does not occupy a seat needs an infant ticket. The airline said it was investigating the incident with the Beijing airport authority and the agent company which manages passengers at the boarding gates.